Michael Bergdahl is a professional international business speaker, author and turnaround specialist. Bergdahl worked in Bentonville, Arkansas for Wal-Mart, as the Director of “People” for the headquarters office, where he worked directly with Wal-Mart’s founder Sam Walton. It was Sam Walton who gave Bergdahl the nickname, “Bird Dawg!”. 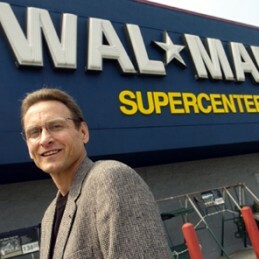 In his speech, ‘Growing Your Business the Sam Walton and Wal-Mart Way (aka Picking Wal-Mart’s POCKETS)’, Bergdahl unveils the best practices of Wal-Mart, and the success secrets of Sam Walton. Audience members will learn the tactics of the world’s richest man, Sam Walton, and the strategies of Wal-Mart, the world’s largest company. Previous to Wal-Mart, Michael worked in the FMCG Industry for PepsiCo’s Frito-Lay Division in the sales organization and headquarters staff assignments. Michael is also a turnaround specialist who participated in two successful business turnarounds as a VP of HR at American Eagle Outfitters, and Waste Management. Bergdahl received the Senior Professional in Human Resources (SPHR) certification from SHRM. Part business, part inspiration, part storyteller, Michael Bergdahl is a Wal-Mart authority and acclaimed international speaker who has captivated audiences on six continents.